It is no surprise that keeping a head full of long and beautiful hair takes a good amount of care on your part to keep it that way. As we can all agree, one of the most annoying and frustrating things to deal with when you have long hair is dealing with the knots and tangles that come along with it. Not only is it quite painful when having to detangle your hair, but it can also be quite damaging. 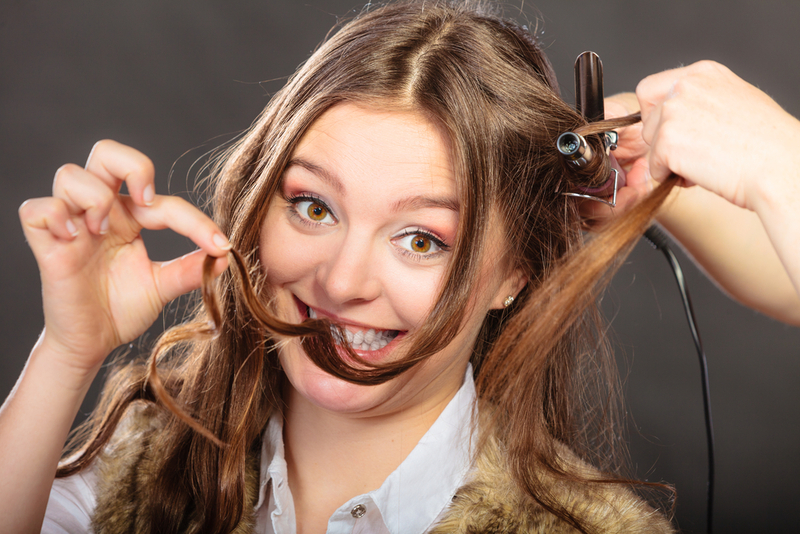 Our stylists at Charleston hair and makeup have a few tips to avoid this frustrating situation so the only thing you have to be annoyed at is how long your hair takes to dry. These are the common reasons we see clients walk into our hair salon with matted hair that can be extremely painful to detangle. So before you get to that point, here are a few tips to keep that long, luscious texture. Many times, tangled hair is a result of a lack of treatment being provided to it. Conditioning plays a major role in soft and silky hair which will, in turn, minimize the tangles you will experience. If you are the type to frequently skip on the conditioning, it may be time to reconsider. Apply your conditioner and wash the rest of your body to allow the conditioner to deeply soak into your hair. Another hair care tip is to apply a hair mask at least once a week. These treatments will quickly restore your hair with moisture and nutrients leaving it less prone to tangle. If you have long, thick hair and are not brushing it constantly throughout the day, you will most likely experience a good amount of tangling. Brushing your hair with a wide tooth comb or soft-bristle brush two to three times a day when its down will help keep those locks from intertwining. Just make sure you are gentle when brushing through it. Also, choosing to put your hair up before bed will help keep your hair from rubbing your pillow all night when you toss and turn keeping it from being a tangled mess in the morning. Last but not least, the professionals at Charleston hair and makeup recommend to any woman that experiences issues with tangles hair is to choose the right products. Stay away from products that contain alcohol as it tends to dry out your hair and try natural products. If you are unsure what to use, run by the salon. We always are happy to give a few recommendations!